It's no longer a big secret that Apple sees its so-called "services" business as a key revenue driver, at least until the company decides on what to bet next as a potential industry-changing hardware product. 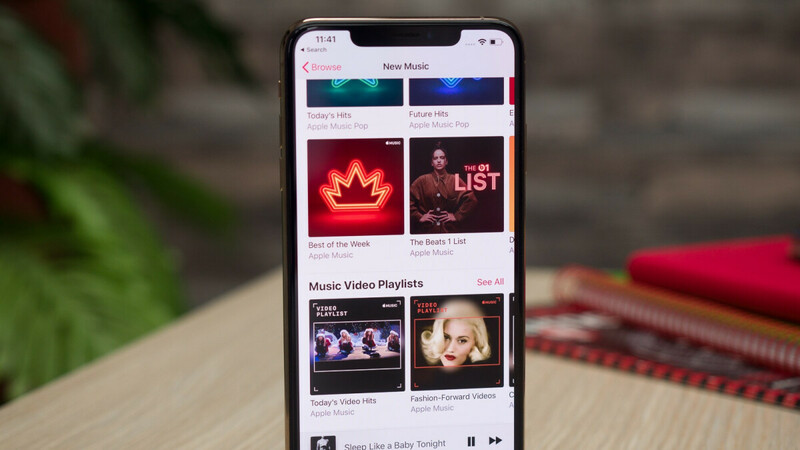 But while the jury is still out on the fate and success of recently unveiled Apple TV+ and News+ platforms, the tech giant's music streaming service has already proven a smash hit. Initially released as an iOS-exclusive app, Apple Music rapidly gained Android support, slowly turning into a cross-platform blockbuster. Of course, the HomePod also offered Apple Music compatibility right off the bat, but it took several years for Amazon's Echo smart speakers to join the party. That move signaled a fundamental change in Apple's strategy, and further expansions in the near future could consolidate this somewhat surprising but certainly sensible new direction. There are fresh signs suggesting Chromecast support is in the pipeline, discovered by the folks over at 9To5Google. Granted, just because something like that is being considered, it doesn't necessarily mean it will actually materialize. And even if it does, it's currently impossible to say when it might happen. With all that being said, there's a little too much smoke surrounding Apple Music lately for us to question the existence of an underlying fire. Google Home support seemed practically guaranteed just a few weeks back, and although the search giant denied that was happening, the official statement was sure terse and vague. It's important to point out that Chromecast compatibility is an entirely different thing, but it would allow Apple Music subscribers to play their tunes on Google Home devices, as well as Android TVs, and even "dumb" TVs paired with a Google-made digital media streamer. You'd be able to control everything on your phone using the Apple Music app for Android rather than the Google Home app. Of course, it'd be nice to see both Chromecast and Google Home functionality released in the near future, although there are obviously no guarantees right now. So let's see, Apple first introduced their Apple music to Android users back in November 2015. It's only now that Apple is thinking about updating their existing app to include Chromecast support. Chromecast support for Apple music should have been their since day one. It's now more than 3.5 years. No thanks, I will stick to one of the many other music offerings instead. Hey Apple, how about adding back Texture, or now your Apple News+ back on Android. Especially when their was paying subscribers of Texture. Yet your yanking it from the Play store, with no foreseeable plans to replace Texture on Android. Apple f$#) heads.